I wasn't sure what to expect when I first saw the cover of this book. At first glance I was like, OK a girl looks like she just came home from the prom. Boy was I WRONG!!! This book will rock you to the core. I could not put the book down from the moment I picked it up. You will feel the raw emotions of the characters and feel their pain. People looking from the outside in, thought that Nora Blakely had it all. Nora's family is very wealthy to say the least. Nora is a senior at Briarcrest Academy (BA), an elite private school in Texas. Nora has been living her life as her mother has dictated for the past 19 years. Nora kept to herself and focused on her studies, her piano lessons and pleasing her mother. She could never disappoint her mother, there was a facade that she needed to keep. Nora has been keeping a secret from her past hidden, and only one person knows about it. She has been trapped in her own life, Nora couldn't be herself. When you stop and think about it, who was the real Nora Blakely? Did she even exist? It was at Briarcrest Academy's Senior Registration and Open House night that Nora's life had changed. It was the first time that she had stage fright. Nora would go to open her mouth, but nothing would come out. She willed her body to do what it had been trained to do, but nothing happened. Nora has been on stage in front of people for years, whether for a spelling bee, a debate or even a beauty pageant. After years of putting on her fake smile and pretending to be perfect to please everyone, she snapped. Her speech that night was short and to the point. For too long Nora let others dictate everything; how to dress, how to eat, how to smile, how to stand. After those words left her lips, her life was about to change. Would it change for the best? Would it change for the worst? Nora was beautiful and smart. When Nora decided to take charge of "her" life, she was a firecracker. She was a force to be reckon with. Leo Tate had registered his younger brother, Sebastian in Briarcrest Academy for his senior year. Never was he expecting at Senior Registration, that he would see this spectacle unfold right before his eyes. After leaving the auditorium Leo and Sebastian headed to their car. They noticed Nora in the back seat of a Mercedes and her mother tearing into her, screaming and yelling. The whole time, Nora just kept her focus on Leo. She couldn't break the contact that was there. Leo couldn't break the contact neither, as he just sat there are stared at her. Why did some random school girl catch Leo's attention? What was it about this girl? Why did he feel drawn to her? Leo had me at go. He was smoking hot, built to kill, had that perfect V, a defined 6 pack, blond hair and blue eyes. You can't get much better then that. Oh wait, did I forget to mention that he has a fierce dragon tattoo on his upper arm that goes up his shoulder and across onto his chest, and he is in a band. Yes, ladies, LEO IS HOT !! The only flaw I found in Leo was that he didn't think he deserved to be happy. His happiness was taken from him when he was 18 years old. 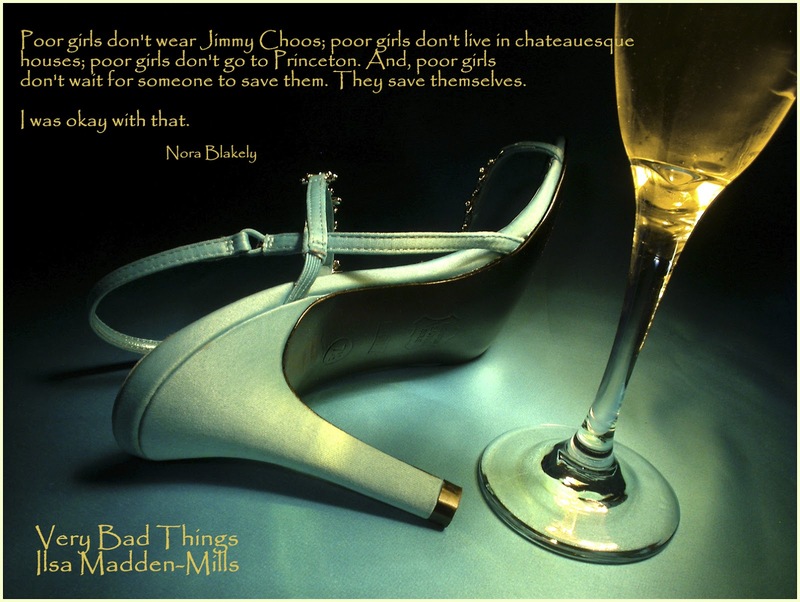 After the incident at BA, Nora created a list, "Nora's List of Bad Things." Nora was on a mission to complete her list and she would stop at nothing to complete it. Was Nora on a path of self destruction? Was this Nora's cry for help? Did anyone care enough about Nora to help her? Nora gets herself in a little trouble and ends up at Leo and Sebastian's front door. Sebastian and Nora become very friendly, however Nora can't seem to get Leo off her mind. She is consumed with thoughts of Leo. There is an immediate attraction between the two of them, but Leo vows to stay clear of her. She is too young and she deserves better than what he can offer. Leo has built a wall around his heart. He only has three things in life that he cares about, his brother, his gym and his band. Leo has dealt with heartache before and he doesn't want to love anyone again. Loving someone means opening your heart to them and Leo was not prepared to do that. Leo hardened his heart because he'd rather be alone than invite the kind of pain he felt years ago back into his life. Leo tries is damnedest to keep his feelings at bay for Nora. Sometimes our minds tell us one thing, and our hearts tell us another. Nora wants Leo and she wants him bad. Nora has made her feelings very clear to Leo. The only problem is Leo won't admit his feelings for Nora. He is trying to fight his feelings every step of the way. Nora hates that Leo uses her age against her. She is 19 and he is 25, there isn't really that many years difference, and Nora is wise beyond her years. Leo is struggling to stay away from Nora, but at the same time he is always trying to keep an eye out for her. The feelings between the two of them are intense. Leo always takes care of the people he loves. Leo feels the need to protect Nora; protect her from what, he doesn't know. From herself, from her past? Nora is forced to face her past in order to move on with her future. Can Nora finally face her demons? Will Nora reveal her secrets? Will Nora lay her heart of the line again for fear of rejection from Leo? Will Leo shatter Nora's heart? Will Leo let go of the pain of his past? Will Leo be able to love again? Will Leo open his heart to Nora or will he continue to push her away? I think Very Bad Things flowed effortlessly, and the story line was fantastic. 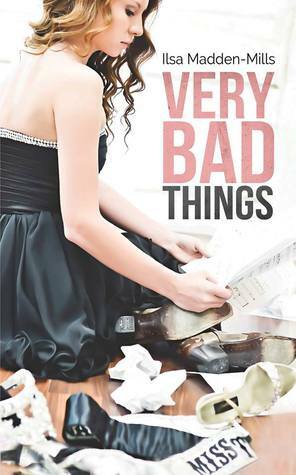 If you are looking for a book that has romance, drama, and angst all rolled up into one, then VERY BAD THINGS, is your book. I loved the chemistry between the characters. You could feel the electricity between Leo and Nora and I felt the intensity of their feelings for one another. I enjoyed getting to know the sub-characters as well. I am definitely looking forward to seeing where this series goes and I can only hope that we get more of Leo and Nora in the books to come. She loves to hear from from fans and fellow authors. Check her out on Facebook or her author website. MAKE SURE TO ENTER THE GIVEAWAY! !